MSK scientists are engineering immune cells to be more-powerful cancer fighters. For patients with leukemia who relapse after chemotherapy, treatment options have traditionally been limited. At MSK, an experimental immunotherapy called CAR T therapy has expanded options for these patients. New research data presented at this year’s annual meeting of the American Association for Cancer Research (AACR) suggest that patients do better on the therapy when they are treated at the time of minimal residual disease. In a retrospective study, MSK researchers looked at the impact of pre-treatment disease burden on outcomes to CAR T cell therapy in leukemia. Patients will minimal residual disease had significantly longer survival and experienced less-severe toxicities compared with patients with more disease. A subsequent bone marrow transplant did not seem to improve outcomes in either group, though this finding was preliminary. Like many patients who come to Memorial Sloan Kettering, Glen Blum, 31, had already received treatment at another hospital for a cancer that was proving stubbornly hard to beat. His saga began several years ago, when lingering back pain led to a blood test, a biopsy, and eventually a diagnosis of acute lymphoblastic leukemia, or ALL. This aggressive cancer, which grows in the bone marrow, had already damaged several of his vertebrae. He received conventional treatment with both chemotherapy and radiation, which helped for a while. But as is often the case with ALL, the cancer came roaring back. And when it did, it was resistant to further treatment with conventional drugs. That’s when Mr. Blum’s doctor recommended that he enroll in a clinical trial of an experimental immunotherapy treatment at MSK. The goal of that treatment, called chimeric antigen receptor (CAR) T cell therapy, would be to shrink his cancer down to a point where he would be eligible for a potentially life-saving bone marrow transplant. The treatment would get my own immune cells to see the cancer cells as foreign and eliminate them. Historically, a bone marrow transplant is often a leukemia patient’s last, best hope for a cure once initial therapy has failed. But the procedure is not without significant risks. To receive new bone marrow, patients must first have their existing bone marrow destroyed with high-dose chemotherapy or radiation. Because the bone marrow is what produces blood cells — including the white blood cells that make up the immune system — patients are vulnerable to infections while the new bone marrow grows. There is also the risk that immune cells from the donor marrow will start to attack the body’s healthy cells, a dangerous complication called graft-versus-host disease. But what if it were possible for patients to receive CAR T cell therapy earlier, before a relapse? Would outcomes for these patients be better? And might they be able to forgo a bone marrow transplant altogether? On April 3, at the AACR annual meeting, MSK physician-scientist Jae Park presented research that speaks directly to these questions. 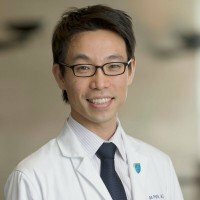 Dr. Park and his colleagues took a retrospective look at all adult patients with relapsed or refractory ALL treated with CAR T cells at MSK — 51 patients in all. They wanted to understand who benefits the most from this experimental treatment. For example, does the amount of leukemia a person has at the time of CAR T therapy influence how long that person remains free of disease or how severe the side effects are? To get at these questions, the team divided those 51 patients into two groups: those with minimal residual disease (MRD, defined as less than 5% of cancer cells in the bone marrow at the time of CAR therapy) and those with obvious morphologic disease (MD, defined as 5% or greater cancer cells in the bone marrow). They then performed statistical analyses on the two groups to determine whether they differed in terms of length of survival and severity of side effects. According to Dr. Park, the results of this study provide strong support for administering CAR T cell therapy soon after initial chemotherapy, when a patient has minimal residual disease, rather than waiting until a patient relapses. The data from this study, he says, indicate that the CAR T cell therapy is likely to be both more effective and less toxic in the earlier setting. A prospective study to test this hypothesis is currently being planned. Our ultimate goal is to cure the disease with as little therapy as possible and with the minimum of toxicity. Another suggestive finding — though one that needs to be interpreted with caution, given the small sample size — was that receiving a BMT after the CAR T therapy did not seem to improve outcomes in either group of patients. This raises the possibility that CAR T therapy might serve as a final or destination therapy, rather than as a “bridge” to transplant as it is typically used. For Mr. Blum, there was never really a question that he would go for the transplant, though he admits there was a point after the CAR T cell therapy when he considered his options. Yet Mr. Blum’s experience with bone marrow transplantation indicates why doctors are eager get to a point at which they can safely avoid it. About a month after the transplant, he got an infection that led to a severe case of pneumonia. According to Dr. Park, the decision to recommend a BMT or not becomes a question of weighing different factors, including the number of previous treatments, the characteristics of the disease, the risks of the transplant, the risk of relapse, and the age of the patient. In May, it will be one year since Mr. Blum had his bone marrow transplant. Though he still has some back pain, he says he is feeling much better. He’s since gotten engaged, and he and his fiancée, Ashley, are planning a trip to Jamaica in June — assuming doctors give him the all-clear before then. He says he has no regrets about the treatment he received, despite the difficulties. He always felt very well cared for at MSK. This study was funded by the National Cancer Institute, the Terry Fox Foundation, Juno Therapeutics, and the Experimental Therapeutics Center at MSK. 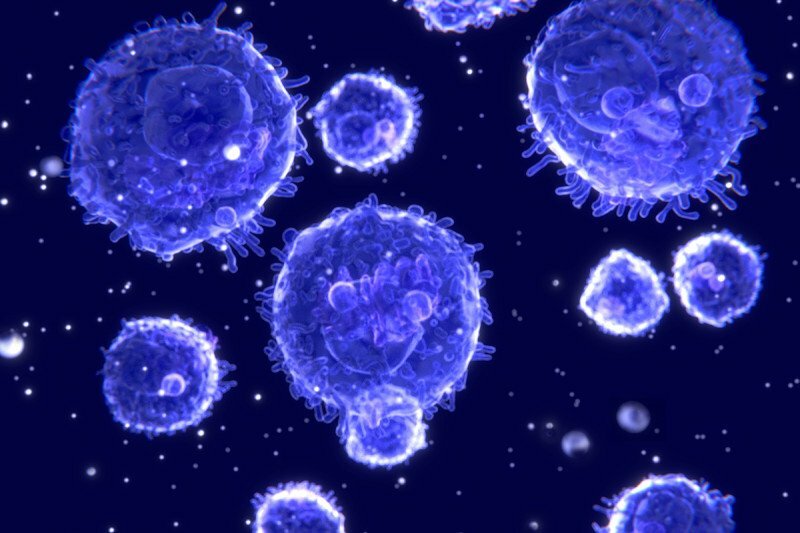 Editor’s note: Recently, the biotechnology company Juno Therapeutics, which licenses CAR T technology from MSK, closed a phase II clinical trial of CD19-directed CAR T cells due to several deaths. The deaths were caused by cerebral edema, or swelling in the brain. No patients being treated at MSK with CAR T cells have had this severe side effect, and none of the 51 ALL patients included in this study were part of the Juno phase II (ROCKET) trial. how is it for a woman with stage 4 ovarian cancer? Dear Keith, CARs are being studied for ovarian cancer at MSK. You can learn more about the trial here: https://www.mskcc.org/cancer-care/clinical-trials/15-014 Thank you for your comment.